As chairman of the Lemelson Foundation, which she founded with her husband, Jerry, one of the world's most prolific inventors, Dorothy Ginsberg Lemelson is today fostering the couple's dream of encouraging and supporting the next generation of inventors, innovators, and entrepreneurs. In forming new avenues of opportunity for tomorrow's creators, this family foundation focuses on understanding, documenting, and promoting invention and innovation as significant contributors to the strength and sustainability of social and economic life. In the United States, the Lemelson Foundation has forged alliances with institutions such as the Massachusetts Institute of Technology and the Smithsonian's National Museum of American History. With the launch of its International Program in 2002, the Lemelson Foundation is unleashing invention and innovation to meet human needs and support sustainable development through initiatives in developing countries. In addition to her work with the Lemelson Foundation, Dorothy also leads and funds the Lemelson Education and Assistance Program (LEAP), which works to improve children's lives primarily through the support of public education. A steadfast believer that the positive, life-long lessons today's students need are the products of inspired teachers and mentors, Dorothy has awarded LEAP grants for 75 elementary school teachers to earn master's degrees in literacy education through the University of Nevada, Reno. LEAP's outreach includes scholarships, grants to individual schools, and special programs designed to provide opportunities for at-risk students to thrive and learn. Prior to pursuing her philanthropic interests, Dorothy was a successful interior designer and owner of Dorothy Ginsberg Associates in New Jersey. The mother of two sons, Eric and Rob, she supported her family financially while her husband worked as an independent inventor from their home. Automated manufacturing systems, barcode readers, automatic teller machines, fax machines, and personal computers, as well as toys such as the flexible racetrack and the crying baby doll were derived from Jerry's inventions. Jerry Lemelson ranks among the most prolific U.S. patent holders with more than 600 registered patents. Born in Perth Amboy, NJ, in 1926, Dorothy Ginsberg is the eldest of three sisters. Her father, Louis, was a self-employed glazier, who specialized in store-front construction. Her mother Lena, born in Latvia, served as a bookkeeper for the family business before opening an antique store in 1939, which up until early 2003 was run by Dorothy's sister. Until her death at the age of 104, Lena continued to instill in her daughters, grandchildren, and great grandchildren the pride in being an American citizen, as well as the responsibility of embracing and acting upon that citizenship. Following her parents' examples of hard work and self-sufficiency, Dorothy channeled her early efforts into earning the money to further her education. After working several small jobs, she enrolled in one of the country's most respected design schools, Parsons School of Design in Manhattan. Upon graduation in 1947, she taught briefly at the Newark School of Fine and Industrial Arts, while establishing herself professionally. Dorothy began dating Jerry in 1953 when they were reintroduced 15 years after their first meeting as children on the Staten Island Ferry. At the age of 12, Dorothy recalls thinking, "I'm going to marry him." And marry him she did, in 1954. Four years later, Jerry quit his job as an engineer to dedicate 100 percent of his professional time and attention on invention. Their son Eric was born in 1959; Rob was born two years later. In 1990, Dorothy and Jerry moved to Nevada, seven years prior to Jerry's death from cancer. Today, Dorothy spends her free time with her family. 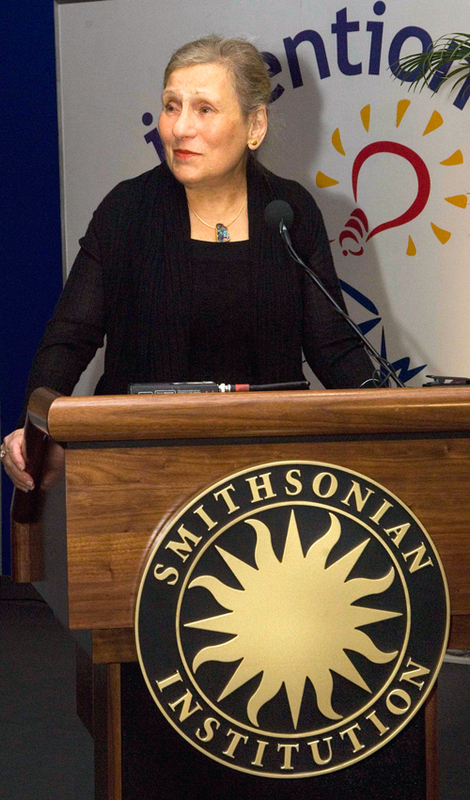 The recipient of many awards of recognition for her philanthropic efforts, Dorothy was presented with the Order of James Smithson, the Smithsonian Institution's highest honor for individuals who make transcendent contributions to the Institution, on May 5, 2002. In her home state of Nevada, she was recognized at the 2001 commencement exercises and awarded the University of Nevada's President's Medal for her contributions to higher education. Additionally, she was named the 2001 Friend of Education by the Reno-Gazette Journal for programs she initiated to benefit the local school districts. Dorothy was inducted into the Nevada Women's Fund Hall of Fame for her exemplary contributions, which continue to benefit the lives of Nevada's women and children. In 2003, she received an honorary fine arts degree from Pacific Northwest College of Art in Portland, Oregon. To learn more about Dorothy Lemelson, visit the Lemelson Foundation's website.